Games developer Ubisoft has told Nintendo it'll need to start shifting some serious Wii U inventory before it grants the console any more exclusive games like the critically acclaimed ZombiU. The French giant has put together an impressive line-up of titles for next-gen consoles, as evidenced by its E3 keynote on Monday, but none of them will be dedicated to Nintendo's fledgling device. 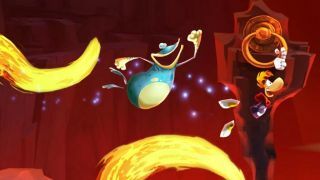 The Rayman Legends title, previewed again during E3, had been announced as a Wii U-only game, but will now come to PlayStation 3 and Xbox 360. Ubisoft CEO Yves Guillemot said the onus was now on Nintendo to inspire developers by create a wider audience for their games and prove there's value in developing for the console. He said: "We need more sold They are coming with five of their biggest brands ever. And the Yen went down. So maybe they will take steps that will increase the number of consoles sold." Guillemot also admitted that Ubisoft had used Nintendo's new console as somewhat of testbed in order to prepare for the next-gen era where second screen gaming will play a march larger role. He added: "Our job is to be agile. We have to adapt the company to the potential of the market. So, what we did last year, was we knew we could learn second-screen with Nintendo, so we went full-speed to use this capacity the console was bringing." While Ubi's stance is another bitter pill for Nintendo to swallow as it seeks to put the Wii U on the map before the clamour for the PS4 and Xbox One later this year, it could still be worse. Afterall, EA seems to have abandoned the console completely.